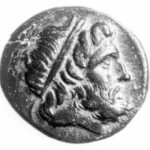 The story of Athamas, the city’s legendary founder is depicted on the coins of Halos. Athamas had tot sacrifice his children Phrixos and Helle to Zeus Laphystios, but Nephele their mother sent the ram with the Golden Fleece to rescue them. The Classical as well as the Hellenistic city struck bronze coins. 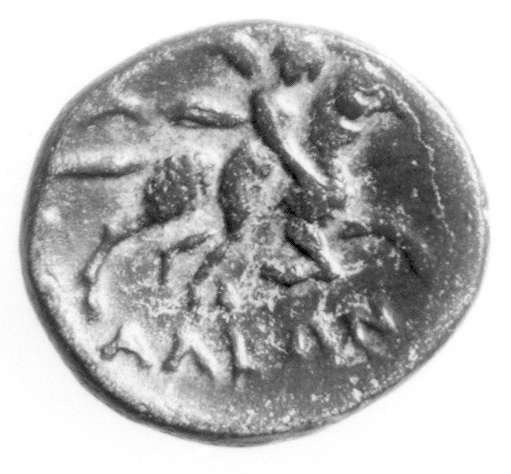 Helle sitting astride the ram is depicted on the reverse of the coins of the Classical city and Phrixos clinging to the ram on those of the Hellenistic city. 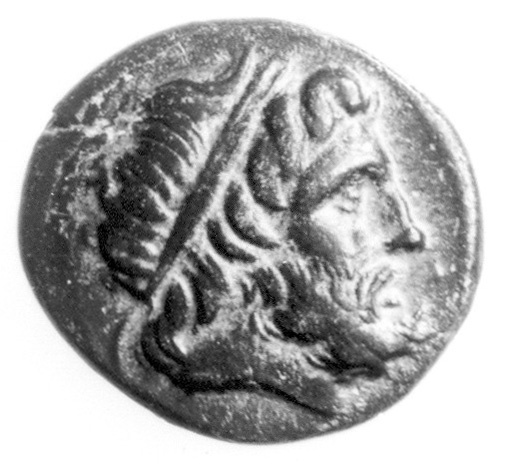 The obverse of the coins features the head of Zeus Laphystios. 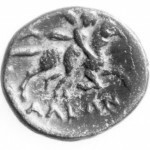 Coins came to light in all houses of the lower town of Hellenistic Halos that were excavated. Due to the presumed earthquake that caused the sudden end of the city’s occupation, the artefacts reflect daily life at the time of the disaster, thus the coins provide a fair account of the bronze issues which were in circulation around 265 BC. Bronze coins of Halos itself and the neighbouring cities of Achaia Phthiotis – Phthiotic Thebai, Peuma and Larisa Kremaste – circulated in New Halos, as well as coins issued in Lokris and by the cities on the island of Euboia. The coinage of New Halos and its neighbouring cities might be related to the occurrence of copper ore near the city of Larisa Kremaste. Artefacts found among the slags indicate copper production in the late 4th and early 3rd century BC.